Simple summer style paired with Born comfort is what you’ll get in the Born Coney. 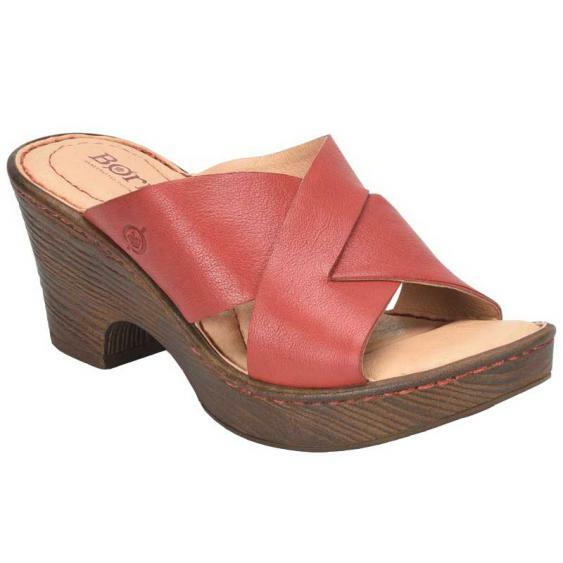 This women’s sandal has an upper made of rich full grain with a criss-crossing strap to keep your foot in place. The soft leather linings feel great against a barefoot and the leather covered footbed is covered in a thick layer of cushion. The Coney is crafted from Born’s Opanka construction making them really durable and the PU outsole offers a boost in height without adding weight to the shoe. Slip into simple summer style with the Born Coney sandals.